Built in 1750, the Belcher-Ogden Mansion was the originally the residence of Royal Governor Jonathan Belcher. Belcher sponsored the College of New Jersey, which later became Princeton University. Elisha Boudinot (brother of Elias Boudinot who lived at nearby Boxwood Hall) was married here in 1778 to Catherine Peartree Smith. At that time, the house was owned by Catherine's father, William Peartree Smith, who had been the mayor of Elizabeth from 1774-1776. Alexander Hamilton acted as master of ceremonies at the wedding, and George Washington and the Marquis de Lafayette were in attendance. Shortly afterwards, the British, frustrated that they had missed a chance to capture General Washington when he was here for the wedding, sacked the house. They took all of the valuables out of the house into the street and burned them. 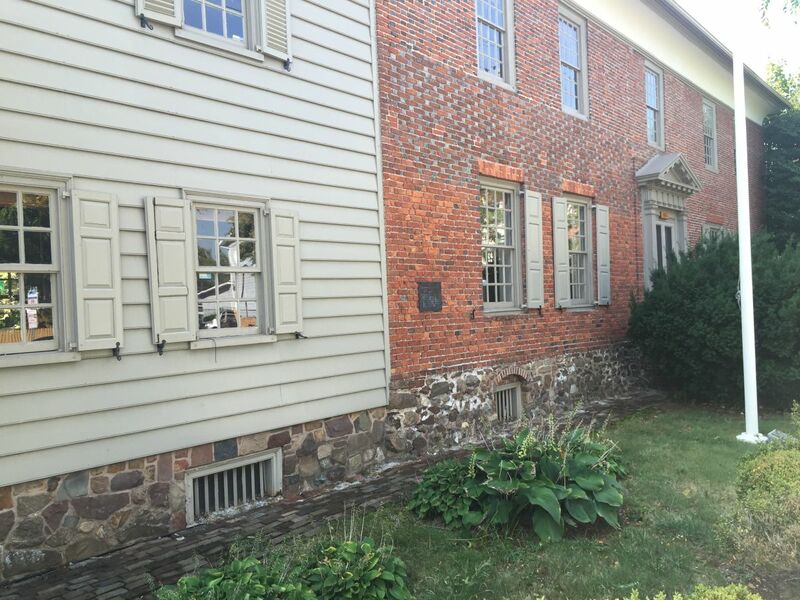 The house was later owned by Aaron Ogden, who had served in the 1st New Jersey Regiment in the Revolutionary War. Ogden was elected Governor of New Jersey in 1812. He is buried at the Elizabeth First Presbyterian Church. Our Belcher Ogden building is our prime exhibit and similar to many world wide historical locations we do not have facilities in the building as it is “authentic" colonial without even running water. 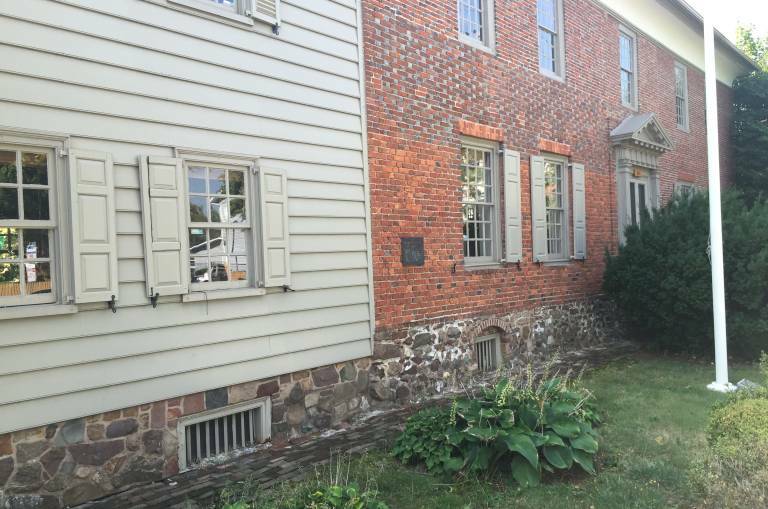 Experience has shown that older visitors appreciate a talk in Bonnell House and then those who can, walk to Belcher Ogden to view the historic structure. Those who are able would ascend the steep stairs to view the private rooms of Governor and Mrs. Belcher with the business of government rooms being on the first floor and easily accessible in wheel chair , walker or cane. A two hour schedule being ideal for full explanation of the architectural and historical nature of our properties. Tours by appointment only. Please call for availability.